Mars Polar Lander was a robotic spacecraft lander launched by NASA to study the soil and climate of Planum Australe, a region near the south pole on Mars. 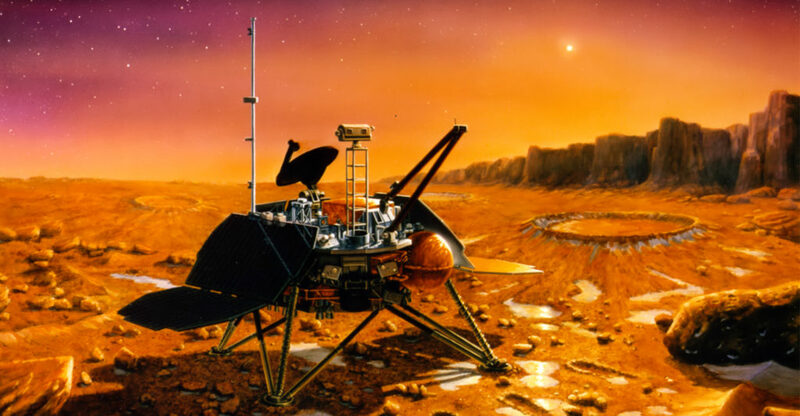 In December 1999, Mars Polar Lander was supposed to touch down near the red planet’s south pole. 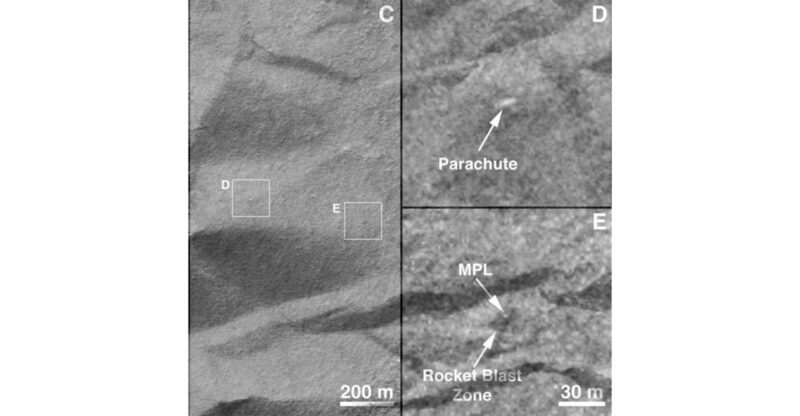 Five and half years later, scientists think they may have finally located the lander’s wreckage and confirmed what went wrong with the mission. Scientist suggested that MPL’s landing rockets fired at the right time and altitude but cut off prematurely. They were suppose to continue firing until one of the craft’s landing legs touched the surface. Apparently the onboard software mistook the jolt of landing-leg deployment for ground contact, and shut down the engines, causing MPL to free-fall from a presumed height of 40 meters (130 feet). Fobos-Grunt was a Russian spacecraft developted by Lavochkin. It intended to obtain a soil sample from the Mars moon Phobos and return it to Earth. 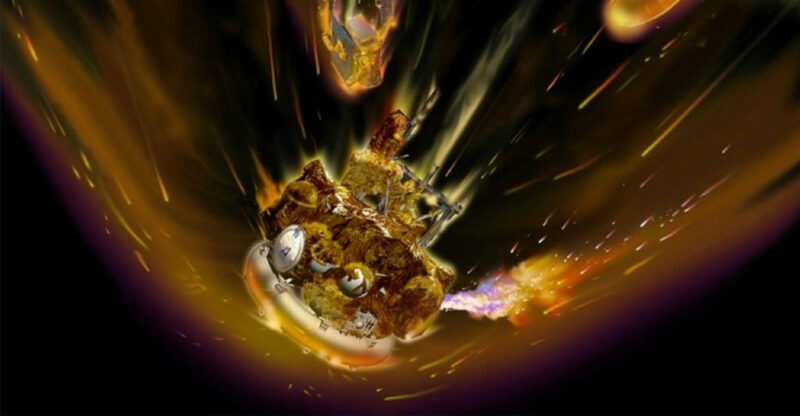 On 9 November 2011, spacecraft was lifted into Earth orbit faultlessly. But soon after, it failed to respond to commands from the ground and did not ignite its booster rockets which would set it on course for Phobos. Leaving it stranded in low Earth orbit. Efforts to reactivate the spacecraft by both Roskosmos and ESA were unsuccessful. Mars Climate Orbiter was a robotic space probe manufactured by Lockheed and launched by NASA’s JPL. 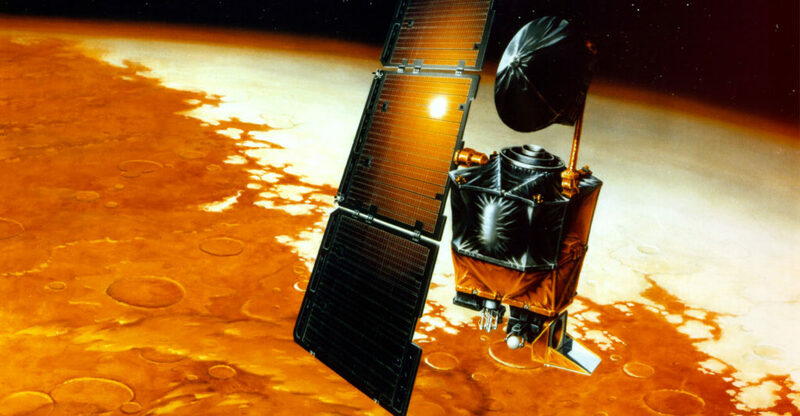 MCO was launched in 1998, to study climate, atmosphere and surface changes on Mars. On 23 September 1999, as it was approaching Mars, MCO was programmed to fire its main engine to achieve an elliptical orbit around Mars. But it went out of radio contact, and two days later, it was officially declared “lost”. The probe had ventured too close to Mars, 90 kms lower than anticipated altitude, plummeting into its atmosphere, and disintegrating. This was all due to an error in software controlling the orbiter’s thrusters. 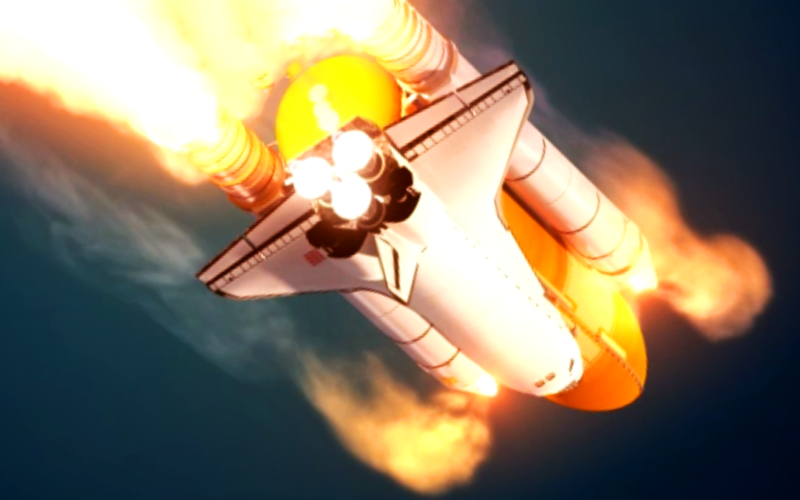 NASA’s software on-board MCO calculated the force that the thrusters needed to exert in metric newtons of force. But ground computers supplied by Lockheed Martin used imperial pounds of force. This meant every impulse measurement done underestimated the effects of the thrusters by a factor of 4.45 (1 pound of force is equal to 4.45 Newtons). As a result a wrong trajectory was computed using this incorrect data. Rockwell International was contracted by Nasa to convert STA-099 to a space-rated orbiter: Challenger. Challenger was the second orbiter of NASA’s space shuttle program to be put into service, after Columbia. 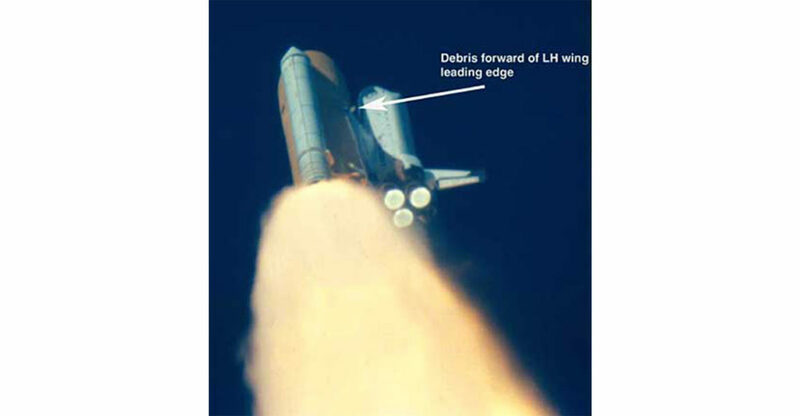 Analysis later showed that a seal, called an O-ring, on the shuttle’s right solid rocket booster had failed at liftoff, allowing pressurized hot gas to escape from inside the booster. This vaporized material weakened strut connecting the solid rocket booster to the shuttle’s huge orange external tank, causing both pieces of hardware to break down. Under severe aerodynamic loads, the space shuttle Challenger broke apart over the Atlantic Ocean one minute and 13 seconds after launch. On 16th January 2003, Space shuttle Columbia launched from Kennedy space center on a 16-day scientific space mission to conduct a multitude of international space experiment. 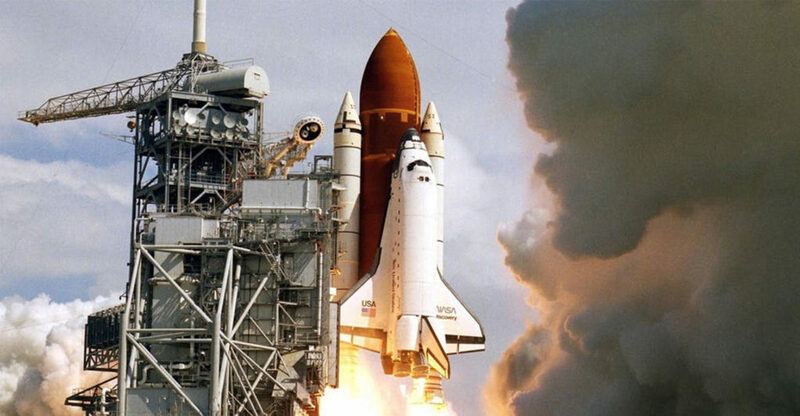 On 1st February 2003, the space shuttle columbia began to dive down into the Earth’s atompshere, blazing at speeds over 17,500 mph or 23 times the speed of sound. During decent, Space shuttle columbia performed optimally as usual. But then, abnormal readings showed up in mission control. Temerpature sensor located in the left wing stopped to funtion. Then the tire pressure reading located on the left side of the shuttle also vanished. 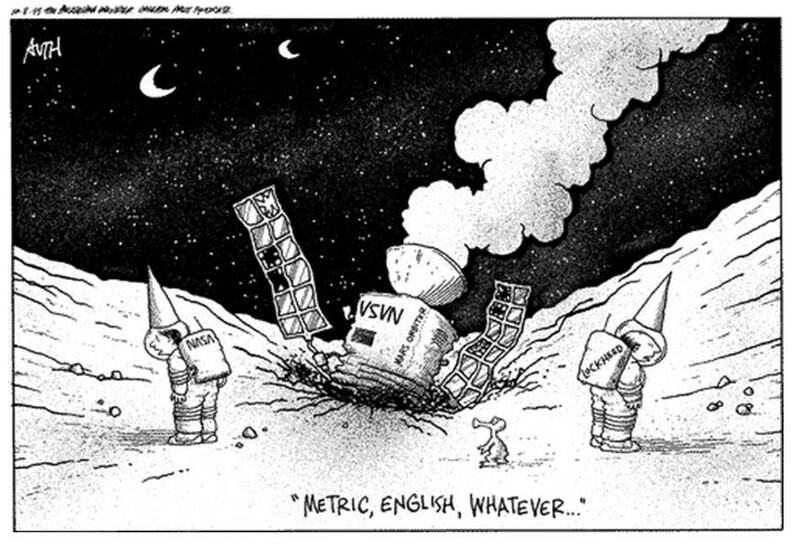 Spacecraft communicator called up to Columbia to discuss the tire pressure readings. Husband from Columbia ,called back: “Roger,” followed by a word that was cut off abruptly in mid-sentence. Repeated attempts to make contact with Columbioa, failed. Few minutes later, a mission controller received a phone call. 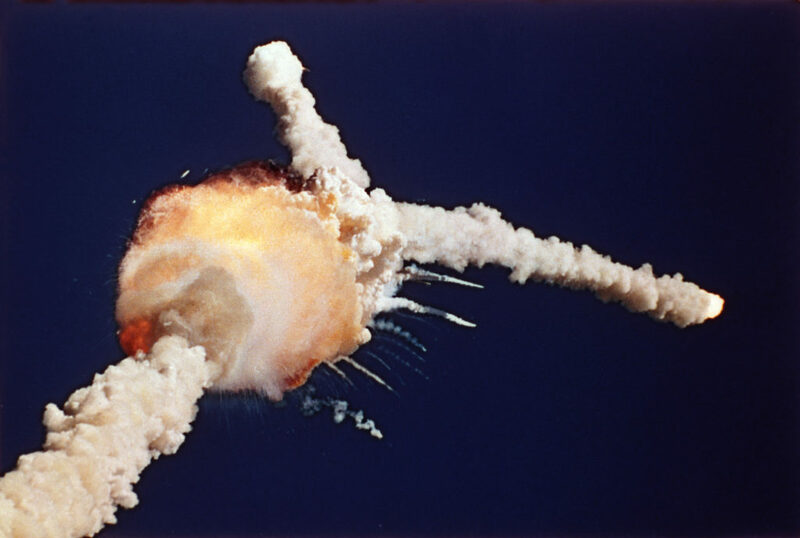 The caller said a television network was showing video of the shuttle breaking up in the sky. Debris of Space shuttle Columbia spread over a zone of 2,000 square miles in east Texas alone. NASA eventually recovered 84,000 pieces, representing nearly 40 percent of Columbia. Among them were the crew remains, which were identified with DNA. 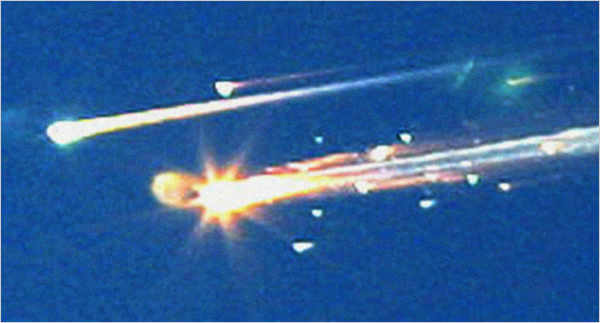 But, what caused the space shuttle disintegration? During the launch of Columbia, a piece of foam insulation broke off from the Space Shuttle external tank and struck the left wing of the orbiter. This caused a massive breach to the heat shield material on the leading edge of the left wing. During decent, as the space shuttle entered the atmosphere. This hole in the wing allowed hot gas to penetrate the Columbia and cause heavy internal damage. This resulted in gradual disintegration of left wing and eventually the space shuttle Columbia, itself. Do you think the price paid and lives lost towards space exploration, is for the greater good of humanity?